1483366758 -Learn how contemporary families respond to and handle common stressful life circumstances. 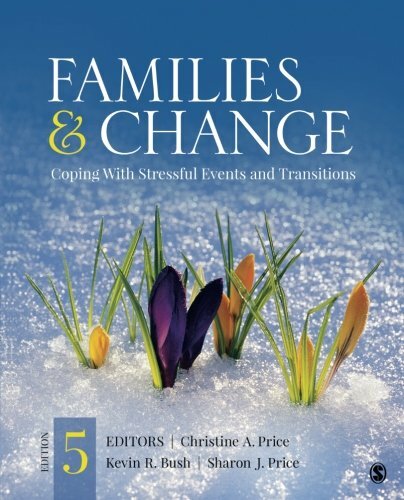 Integrating research, theory, and applications, Families & Change: Coping With Stressful Events and Transitions, Fifth Edition offers students an in-depth understanding of family change. Each chapter of this bestselling text presents the latest scholarship from leaders in the field on family change and stressors as well as resources for intervention. Timely topics such as resiliency, LGBT families, and military families are addressed. Editors Christine A. Price, Kevin R. Bush, and Sharon J. Price, cover timely topics such as resiliency, LGBT families, and military families to name just a few.